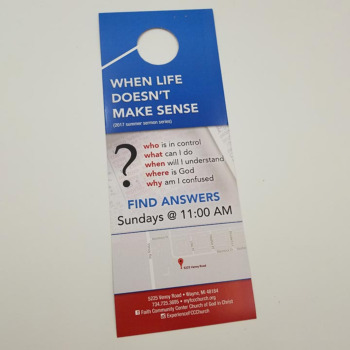 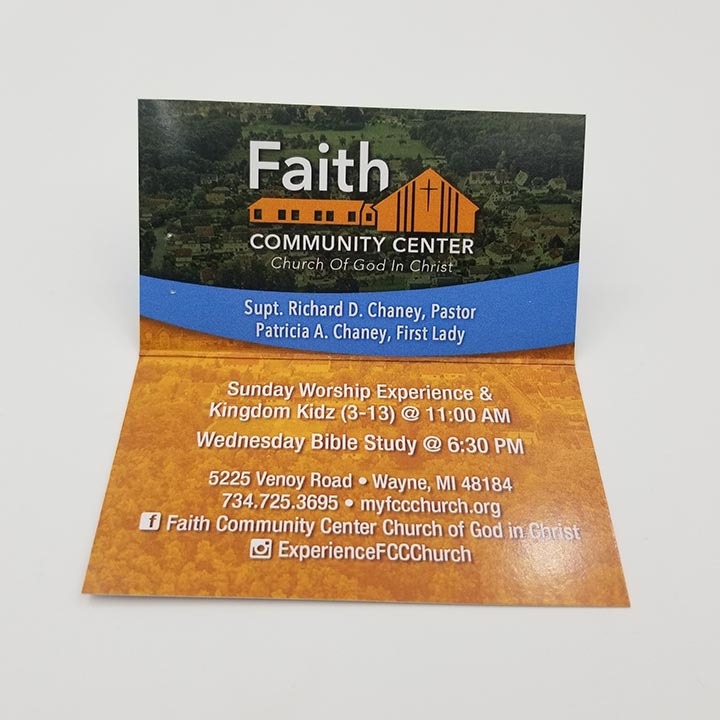 with you and a little about their church and guest ministry! 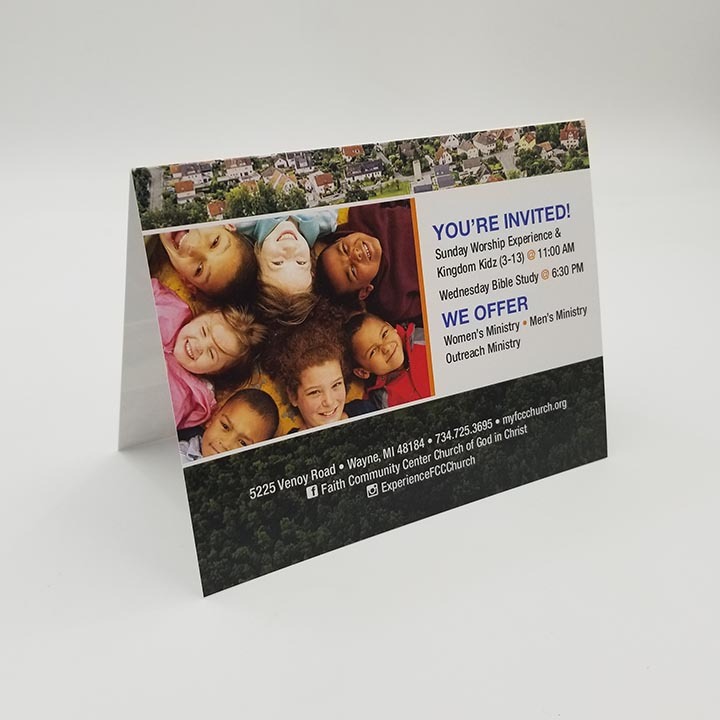 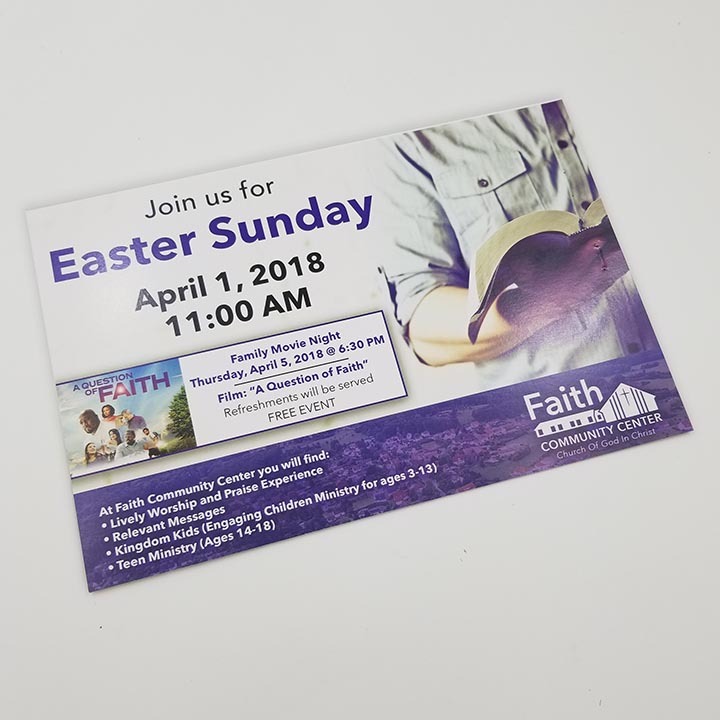 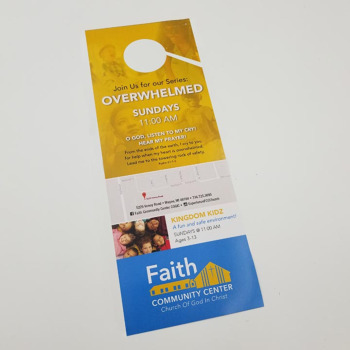 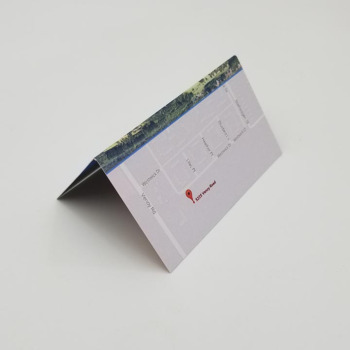 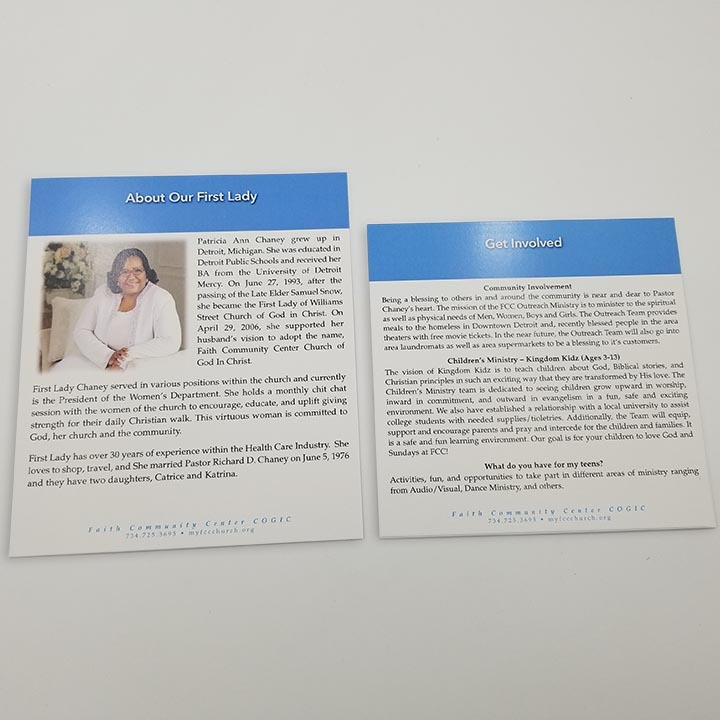 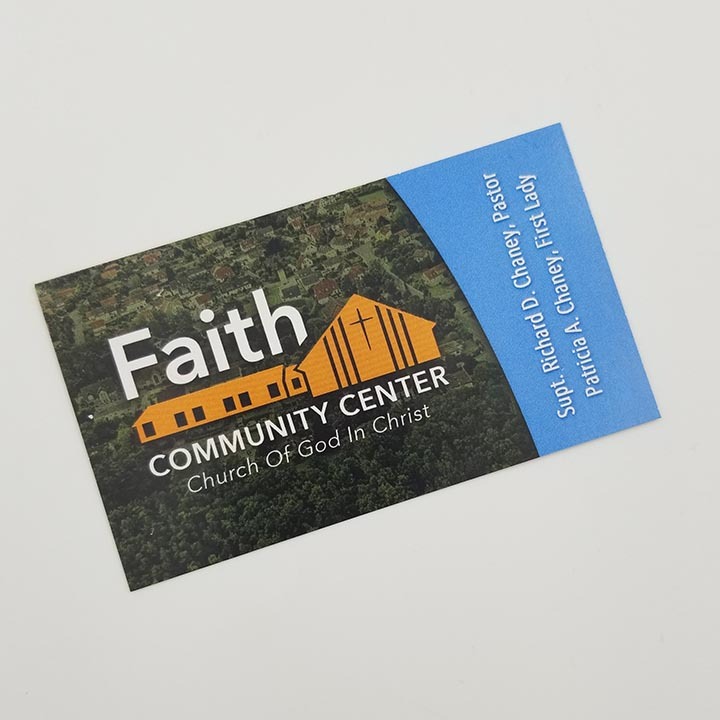 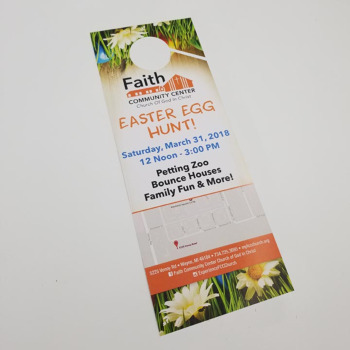 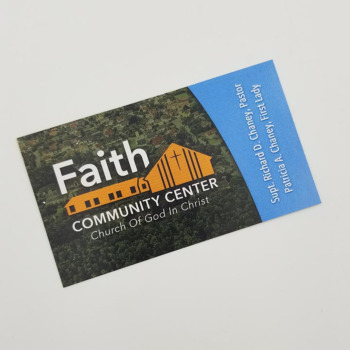 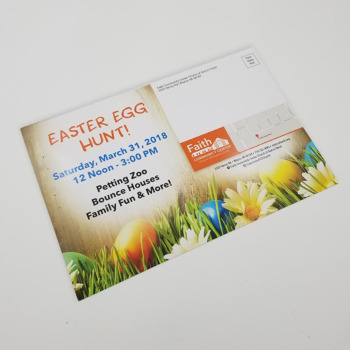 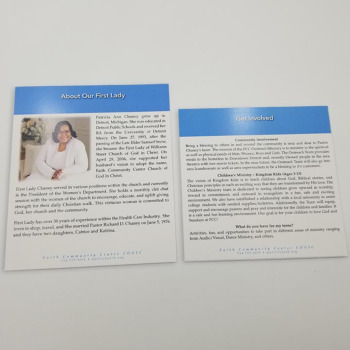 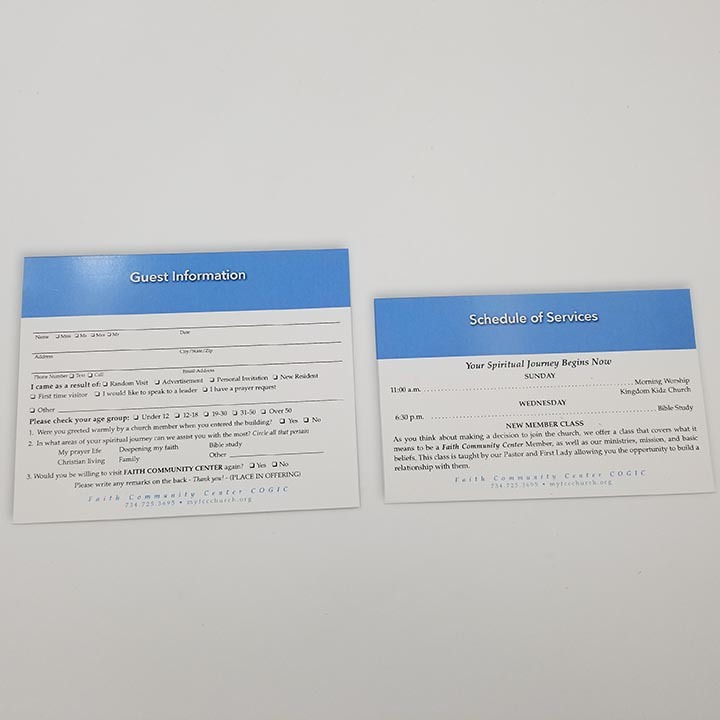 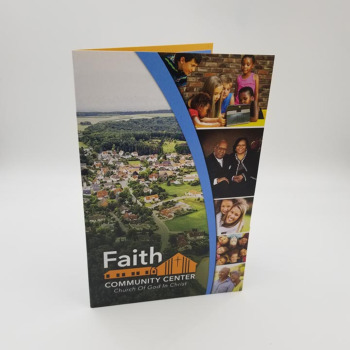 Faith Community COGIC started by choosing our Generational Fellowship design style in the 6x9 format. 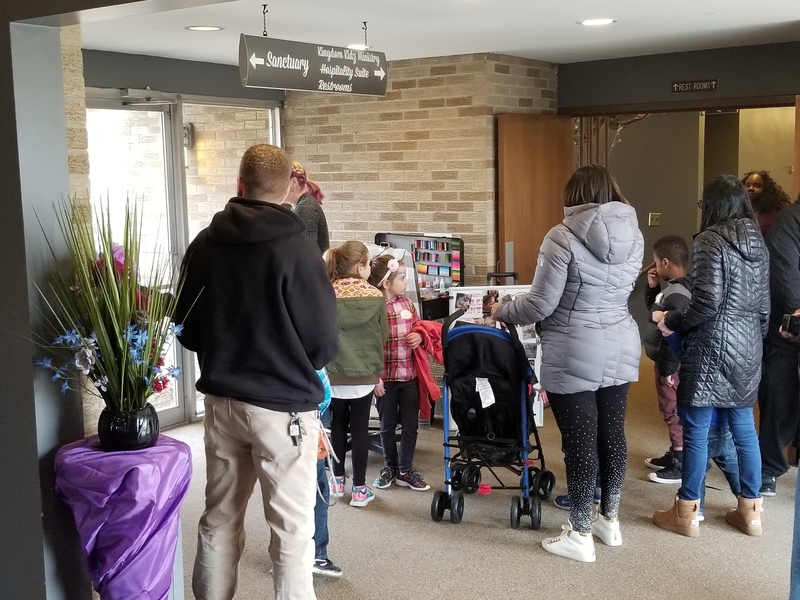 We then worked together to find pictures that represented their community and church culture. 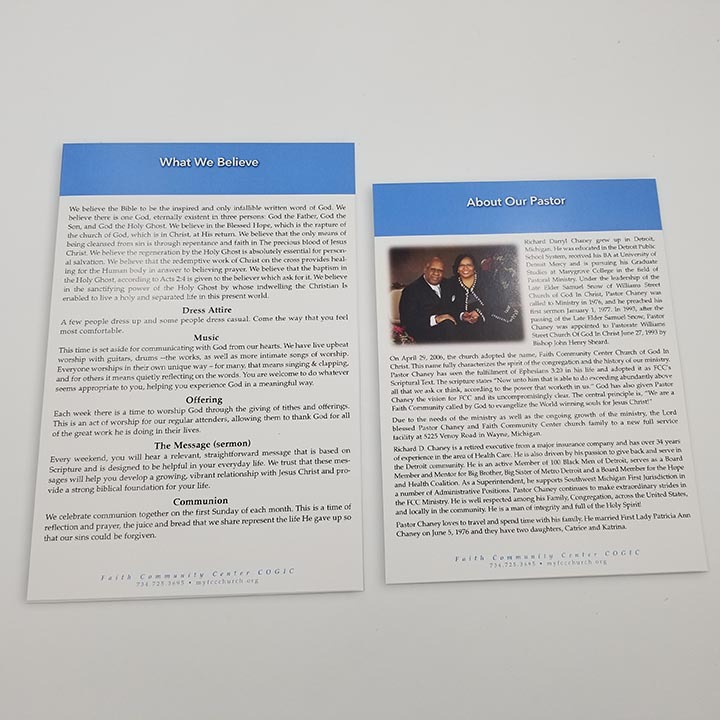 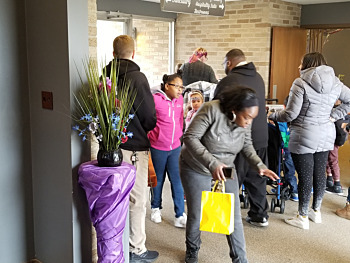 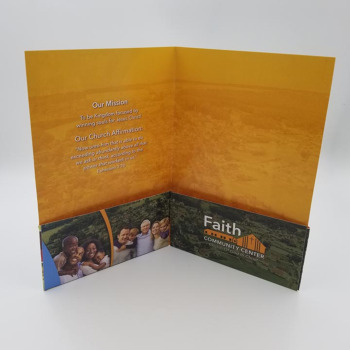 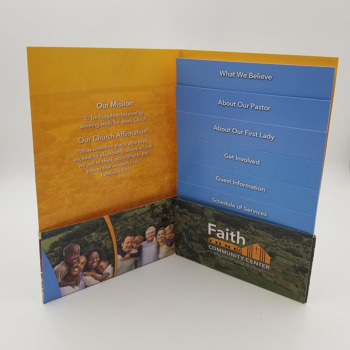 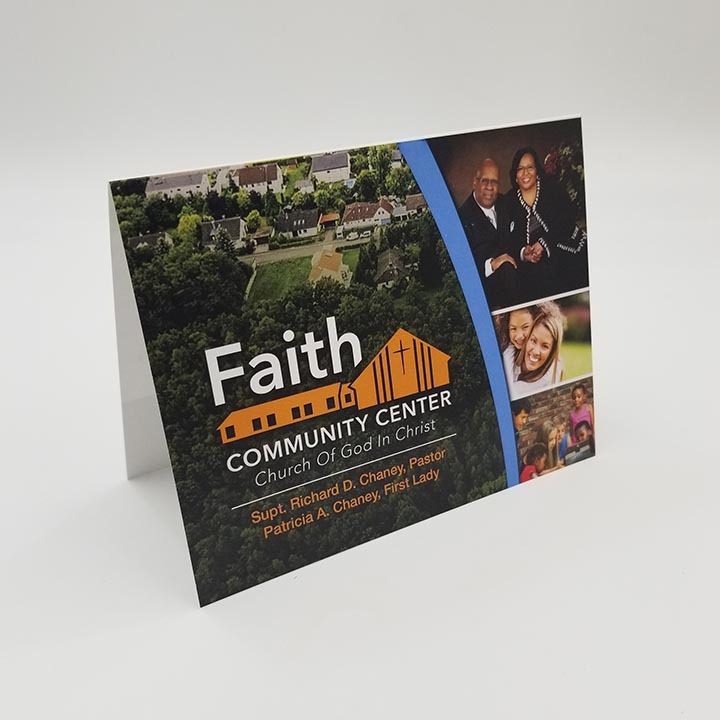 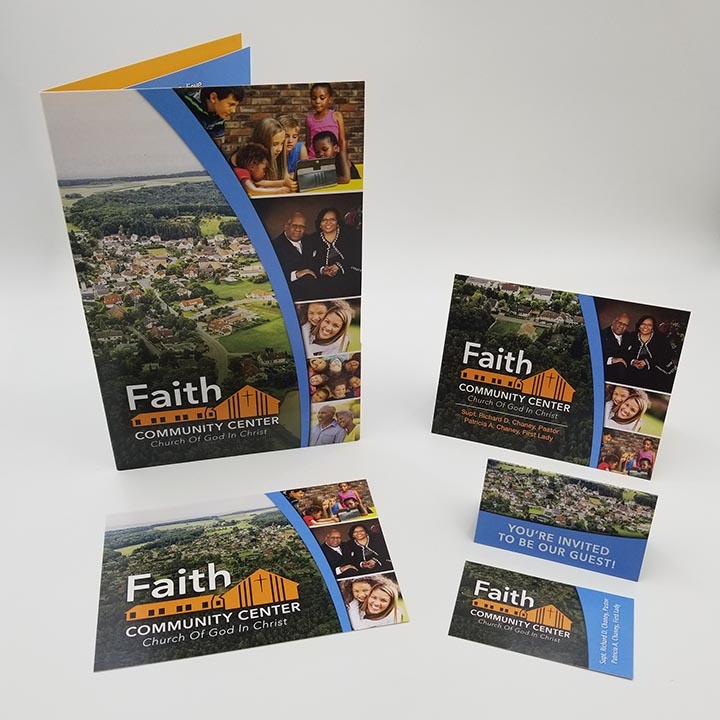 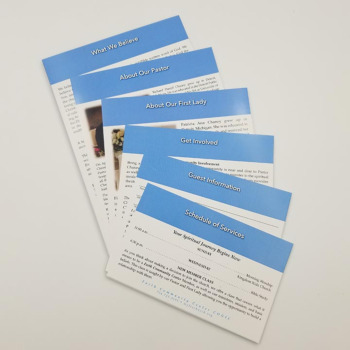 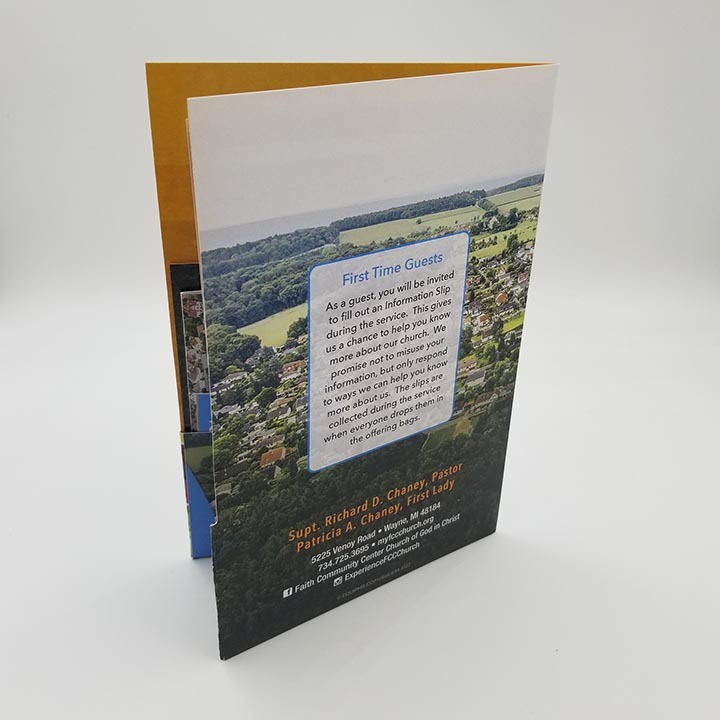 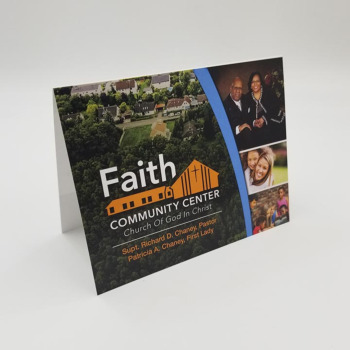 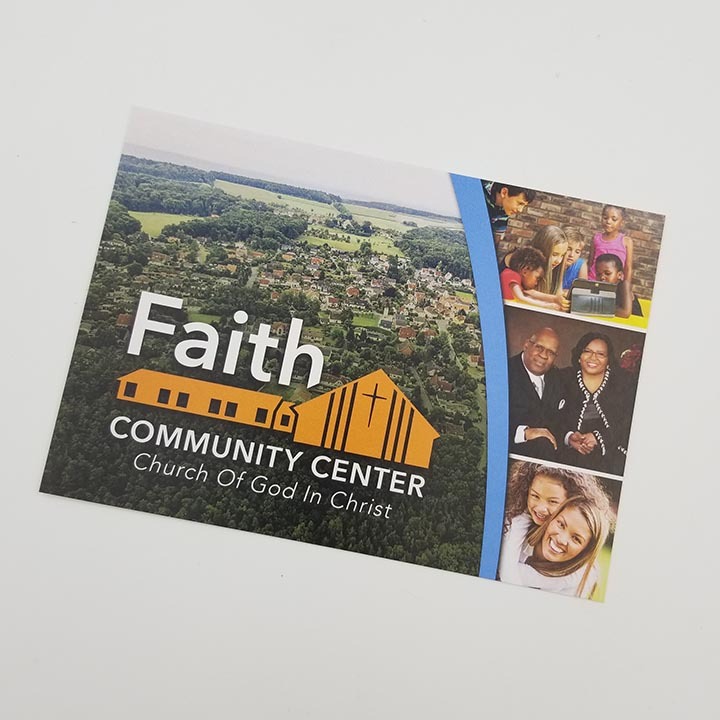 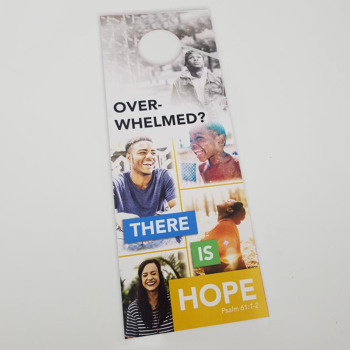 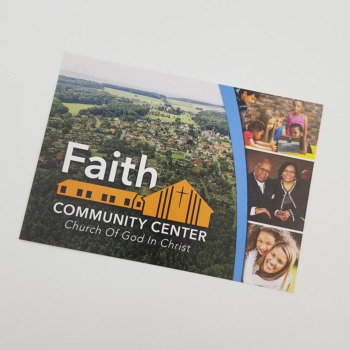 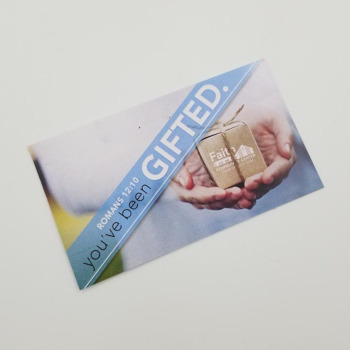 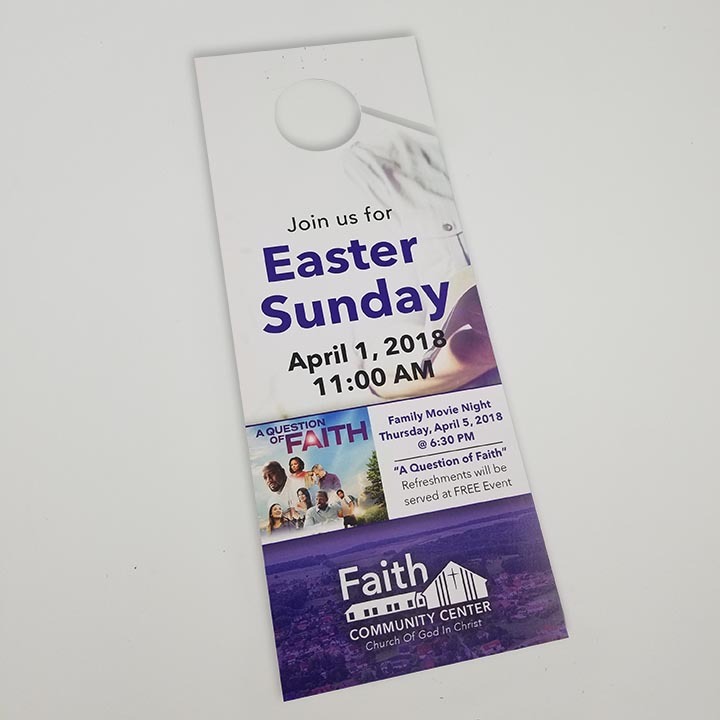 After the new photos were placed and the colors updated to fit their church Faith Community had a beautiful welcome packet to give to guests when they visit! 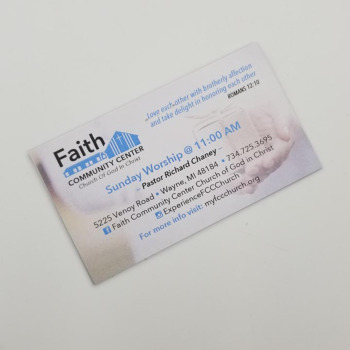 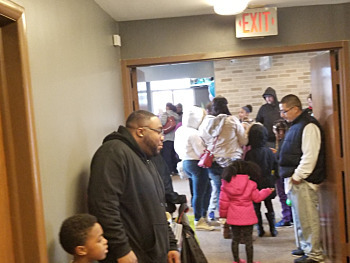 Faith Community COGIC is located in Wayne Michigan. 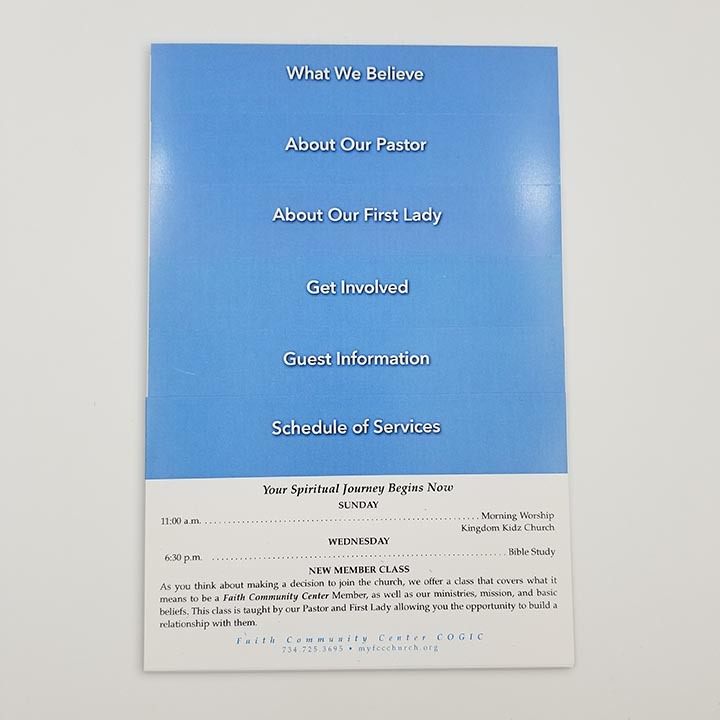 We have been in our present location for 3 years but the church has been in existence for 69 years. Our attendance averages 75 for our Sunday 11:00 AM service. 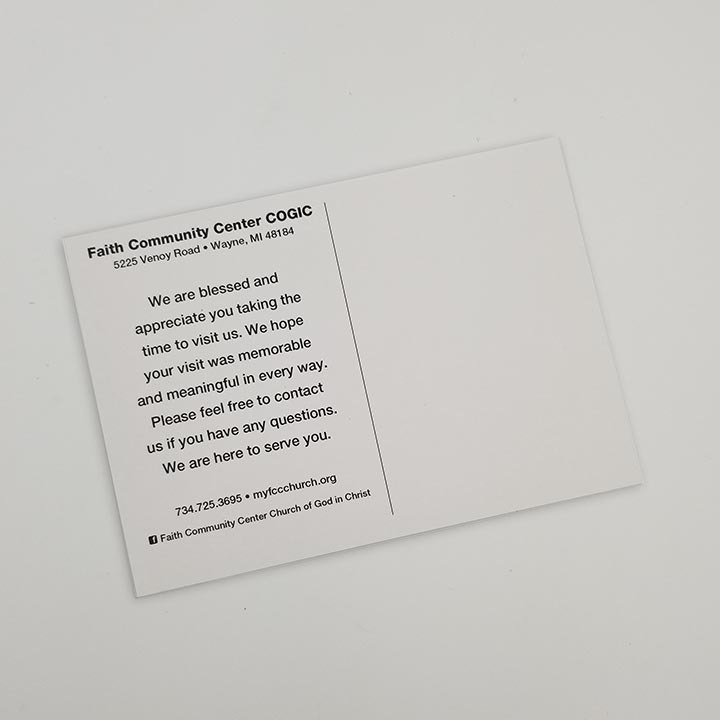 2) What do you like most about working with Equip? 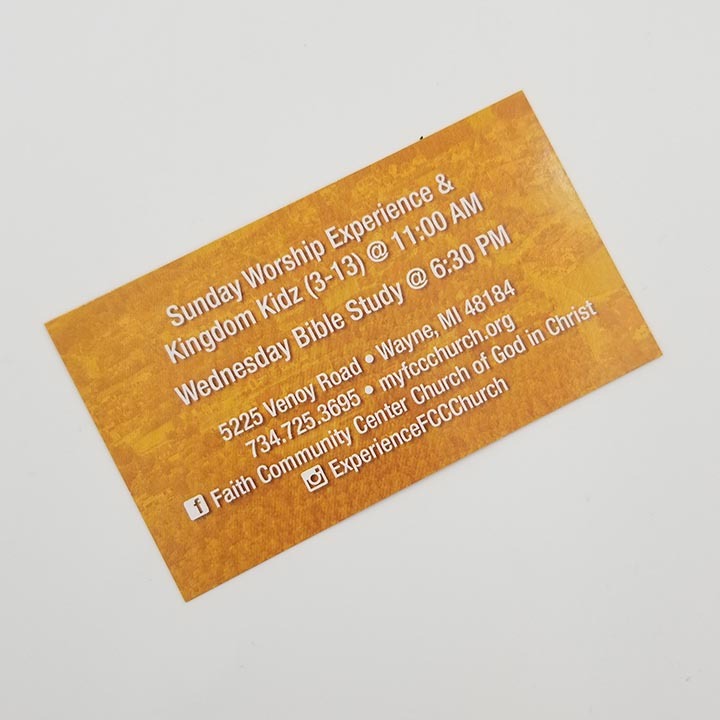 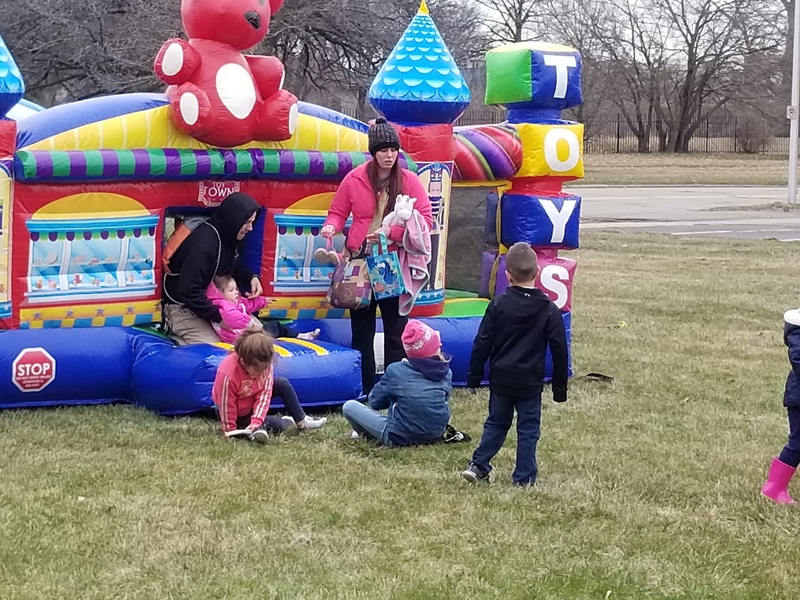 Equip Ministry offered flexible and personalized service. 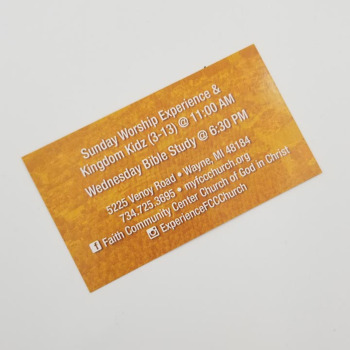 When I contact their organization, not only do I feel I'm a customer, I feel we're partners working together to advance the kingdom. 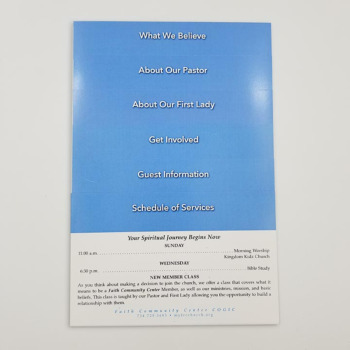 Additionally, I feel Equip goes above and beyond to exceed my needs. 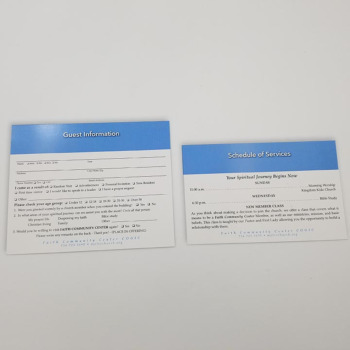 Equip has alway met their commitment to me as a customer. 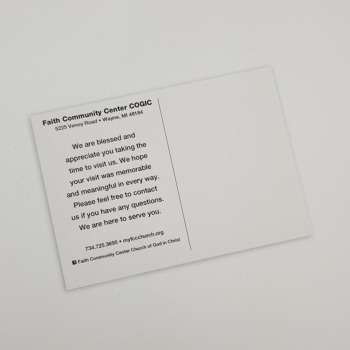 3) What advice would you give to a church just starting a Guest Ministry? 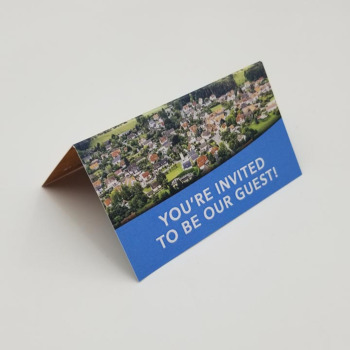 My advice to churches attempting to start a guest ministry is to first define the guest experience for your respective ministry. 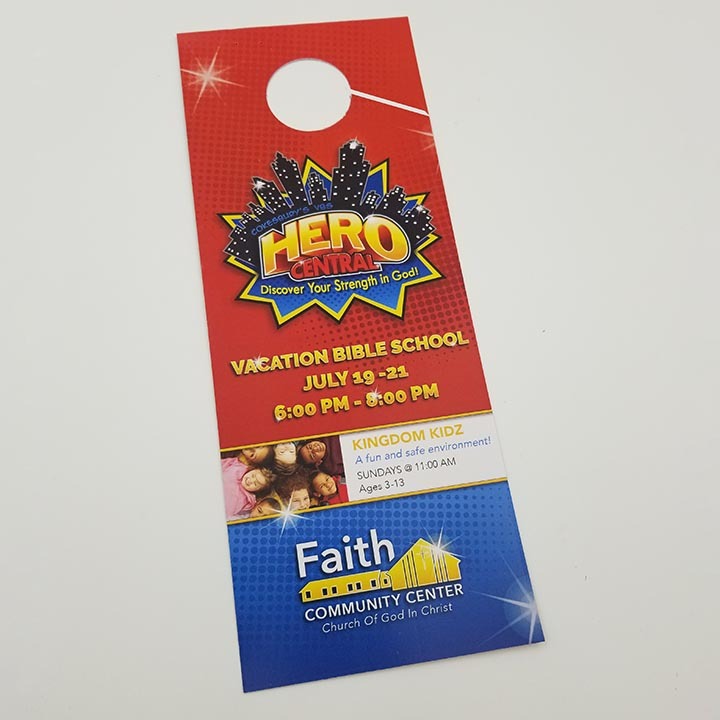 For us the experience starts upon arrival in the parking lot and ends upon exiting the parking lot. 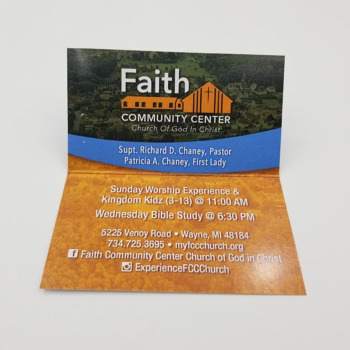 it's imperative that everyone in the church owns this experience to differentiate your ministry.